The Cambodian Ministry of Agriculture, Forestry and Fisheries led by his Excellency, Veng Sakhon visited the Philippines on January 16-19, 2019 to explore the technological advances of the country in agriculture. The delegation was particularly interested to the mechanized seed production technology of the Philippines, the Philippine Rice Information System (PRISM), rice value chain and seed health technologies. The delegation started their visit in IRRI to have technological updates and to co-launch its national seed strategy. 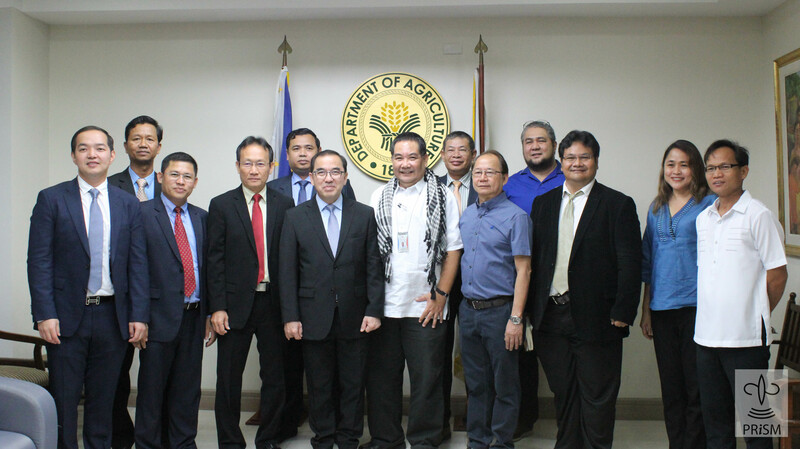 They went next to the Department of Agriculture (DA) to discuss the issues about agricultural development and infrastructure and explored possible investments in agriculture between the two countries – January 18, 2019. Welcomed by DA-Undersecretary for Policy and Planning , Segfredo R. Serrano, the Cambodian Minister and other government officials from the Cambodian Ministry of Agriculture, Forestry and Fisheries: H.E. Hean Vanhan, H.E. Ngin Chhay, H.E. Seak Leng, Dr. Ouk Makara, Dr. Prum Somany, Mr. Kong Kea, and Mr. Chanthol Uch learned among others, the development of PRISM, its organizational structure, key strategies and data products. The orientation was led by Dr. Eduardo Jimmy P. Quilang, PRISM’s Project Leader. Technical persons from PRISM were also invited during the meeting. Dr. Quilang discussed how PRISM achieved success during its R&D phase and how the support of DA and its partners made impact in operationalizing the project. 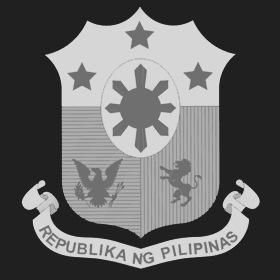 This includes the involvement of the DA Regional Field Offices during ground validation; DA – Information and Communications Technology Service (DA – ICTS) for redundancy servers; and the acquisition of images through the Department of Science and Technology – Advanced Science and Technology (DOST-ASTI). Together with DA-Field Operations Service Director and PRISM’s Co-Chair, Andrew B. Villacorta and Vice-chair, Engr. Christopher V. Morales, Dr. Quilang addressed the queries raised by H.E. Sakhon and his officials. Some of it includes how PRISM acquire images during typhoons, data limitations, and crop health assessments. The delegation showed their interest to PRISM. As H.E. Sakhon mentioned, a rice information system is being developed in Cambodia and might soon adopt the strategies used by PRISM to make it operational in their country. As USec. 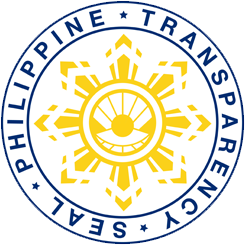 Serrano highlighted the DA’s continuous support to PRISM, PRISM will remain committed to share its data products to the public. The delegation were also able to explore more facts about PRISM and PhilRice technologies through its exhibit of IEC materials and website demonstration.